Carrying out business is not an easy task without a few of the different requirements. One such requirement is the need to have a good web design firm that can handle your online presence and help you in content management services. How would you search for a web design service for your business? Best Tips to Choose a Web Design For Your Business. Choosing a web designer is a daunting task. In fact, the web designer is who would present your business to the outside world. If the firm fails to deliver, your business may fail to attract customers. There are several points you may need to pay attention to while selecting a web design firm. How long the firm you have chosen been in the business of providing web design requirements? That would be one of the points that would need attention. Check out the experience they have had in terms of the function areas. A startup may or may not have the requisite experience. Going through the past portfolio of the company you have chosen should be the prime criteria. This can give you a clear idea on how have they been successful in their previous assignments. Maybe you can have a chat with their previous customers. Social media marketing is what makes your business run beyond your expectations. If you want to see your business grow, having access to social media. It will help you have access to improved brand visibility. In fact, during the present scenario, social marketing plays an important role in enhancing your presence across the web. In addition, find the efficiency of the firm in SEO. In fact, a good design and SEO go hand in hand. We would recommend opting for a firm that has a good command over SMM and SEO in equal measures. References from the past customers would let you get thorough information the capabilities that the chosen firm possesses. References from the people or firms that you know would serve to be one of the best options you should look for. The level of communication plays an important role in the web designing. If the firm you have chosen excels in that department – you are good to go. One more option would be to check out the recommendations from reputed clients that have established themselves in their genre. The experience in the choice of the platform is a must. Either your choice of web design firm be able to work with the CMS you have chosen, or should be proficient enough so that they can help you choose and work on a platform that would help your business grow. It could so happen that some firms have partnership deals with different platforms. It can work for thebetterment of your association if you opt for the platform suggestions from the web design firm in such cases. Yes, pricing is another point that needs attention. However, just choosing the cheapest player may not be a great option. Strike a perfect combination of the price and quality. In fact, the crux of the matter is you get want you to pay for – CCM Web Virginia Beach, for instance, is a web design firm that excels in offers cost-effective plans. Besides being cost effective, it also offers you additional advantages like the emphasis on mobile design and content management service for WordPress. CCM Web can create a website that would meet almost all requirements and the list includes a small business, a manufacturer, a retailer or even an artist – by striking an excellent balance between cost and value. Creating a website is not an easy task and if you can entrust the responsibility to an able Web Design firm, that would help you add value to the performance of your site and by that proportion your business. The steps and tips outlined above should help you choose a web design firm with utmost care. 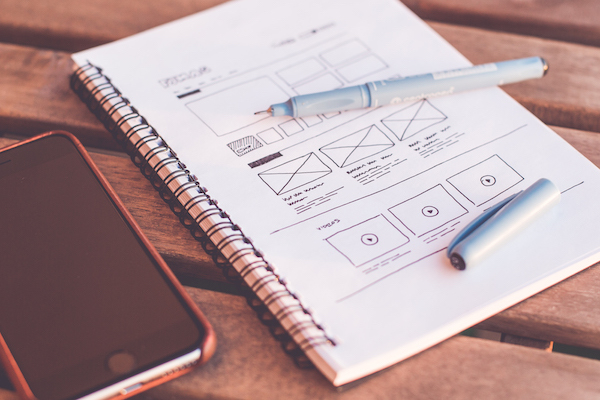 The features that we have outlined above are not the only ones that determine the status of a web design firm, but should help you make a learned decision.